How to convert iTunes M4P, Protected WMA to plain MP3 with TuneClone? If you have purchased songs from online stores and want to listen your music files on other mobile devices of yours, this guide may help. TuneClone is an unique audio converter software, compared with other audio softwares, TuneClone converts the music files via a virtual CD drive, All you need to do is to burn your playlist to TuneClone's virtual CD drive by using your media player software, such as iTunes,Windows Media Player, RealPlayer,WinAMP etc. The key step to use TuneClone is to select the CD burner to TuneClone's virtual CD-RW drive and burn your playlist, your music files will be automatically converted while buring audio cd to this virtual device. Below is the detailed tutorial about how to convert iTunes M4P music playlist to plain MP3. 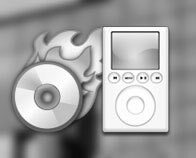 If you are running iTunes 8 or above, please skip to: How to use TuneClone in iTune 8 to convert M4P files? Step 1. Download TuneClone from http://www.tuneclone.com and install it. It is fully compatible with Windows XP, Vista 32 Bit Operation System. A virtual CD Burner will be installed. This virtual CD-RW will be used to convert music files. Step 2. 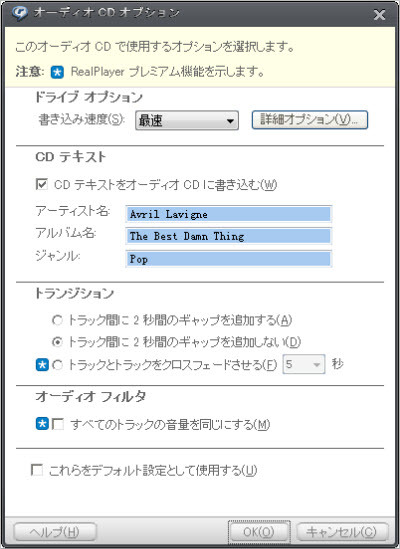 Set the default CD Burner to TuneClon CD-RW at iTunes. Click menu "Edit", select menu item "Preferences...", and then select "Advanced" Tab. 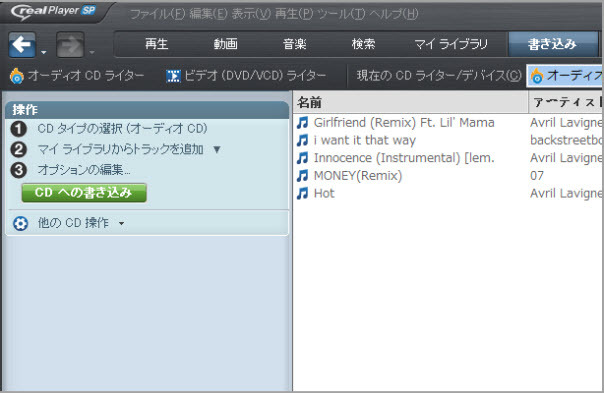 In order to keep the song's artist and title information, it should also check the "Include CD Text" option. Step 3. 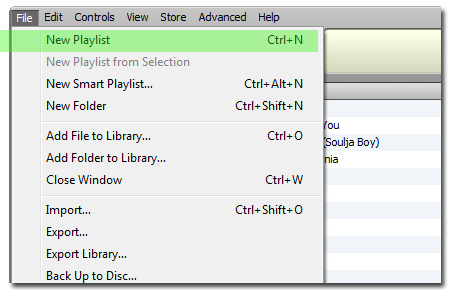 Create a playlist then add the files you want to convert into the playlist. Step 4. 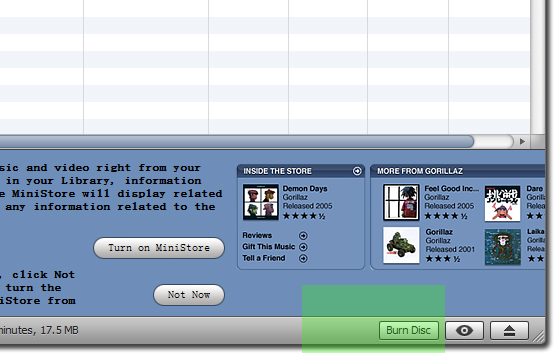 Click "Burn Disc" button at the bottom right of the main screen of iTunes. After the burning get started, TuneClone will automatically convert the music file to MP3, WMA or WAV. You can open the manager screen to show all the converted music files. The most import step is to choose the CD burner. Then the software can convert automatically. It is especially easy when you want to batch convert lots of files. TuneClone is fully compatible with Windows XP, Vista 32 Bit Operation System. A virtual CD Burner will be installed. This virtual CD-RW will be used to convert music files. Step 2. Set "Burn" option at Windows Media Player. 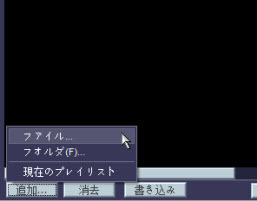 Launch Windows Media Player and click "Burn" button in the main window to enable the burning function of Windows Media Player. From the drop-down list, please tick "Audio CD option" if it is currently unchecked. Step 3. 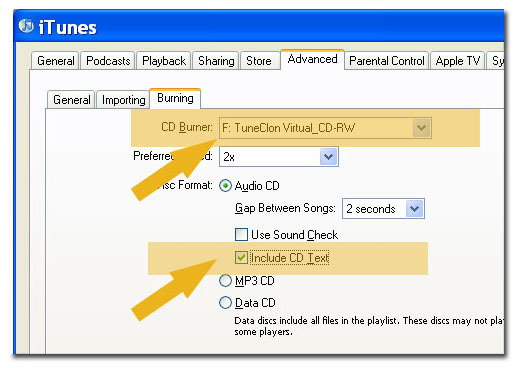 Select TuneClone's Virtual CD Burner. Click the "Next Drive" button to select TuneClone's Virtual CD Burner. 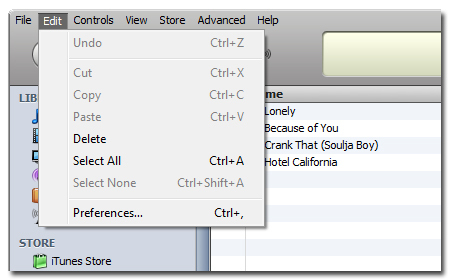 Drag your music files to the "Burn List", and click the "Start Burn" button to burn the playlist. After the burning gets started, TuneClone will automatically convert the music file to MP3. You can open the manager screen to show all the converted music files. The most important step is to choose the CD burner. Then the software can convert the music files automatically. It is exceedingly easy when you want to batch convert lots of files. *Note: Under Windows Vista 32 Bit Operation System, Windows Media Player 11 may not be able to choose the TuneClone's virtual CD burner. Step 2. Launch RealPlayer and Click "Burn/Transfer" button. Change the "Current Burner/Device" to "Audio CD Burner". Click the "Advanced Options..." button. 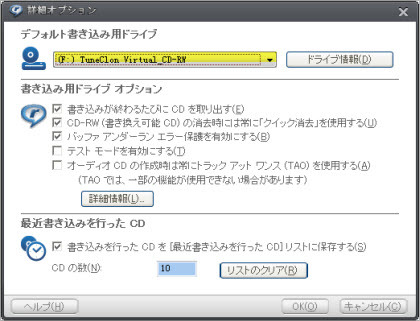 In the following dialogue window, change the default CD burner to TuneClon Virtual_CD-RW. 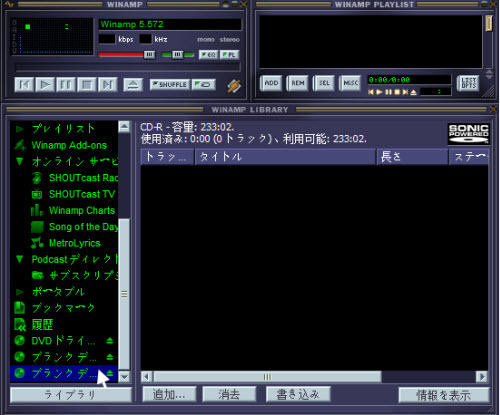 Back to the main screen, add music files to the list and click Burn Your CD button. Step 2. Set "Burn" option at WinAMP. Launch WinAMP. From the items below Media Library button, select "TuneClone's Virtual CD Burner". Step 3. Add files to the burn list. After you correctly select the TuneClone's Virtual CD driver as CD burner, click the "Add" button below to add music files, folder or the current playlist to the burn list. Click the Burn button to start burning the music files. How to burn Windows Media Player music with TuneClone? How to burn WinAMP music with TuneClone? How to burn RealPlayer music with TuneClone? How to transfer Napster music playlist to iTunes playlist for iPod? How to transfer Napster music playlist to Zune? How to transfer Rhapsody music playlist to iTunes playlist for iPod? How to transfer Rhapsody music playlist to Zune? 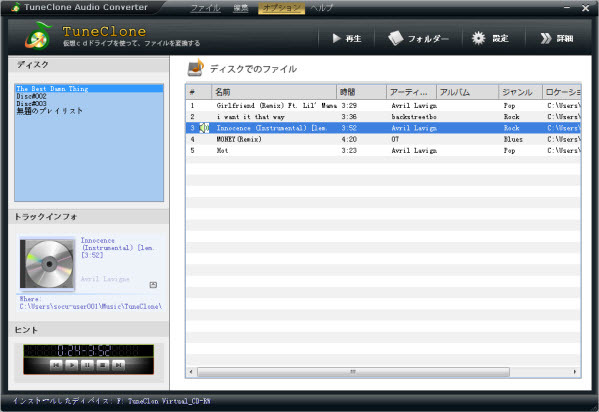 TuneClone runs on Windows XP, Vista and support almost all the media player software that let you burning audio CD. Including iTunes, Windows Media Player, RealPlayer, RealOne,WinAMP, Napster,etc..
How to play iTunes music files with Zune? How to play iTunes DRM music files with Nokia Cell Phone? How to remove DRM of .m4p and play on SONY PSP?